This dual gamepad is ideal for all game. It is designed to control gameplay on PC (connected via USB-port), game console PS2, game console Sony PS3. 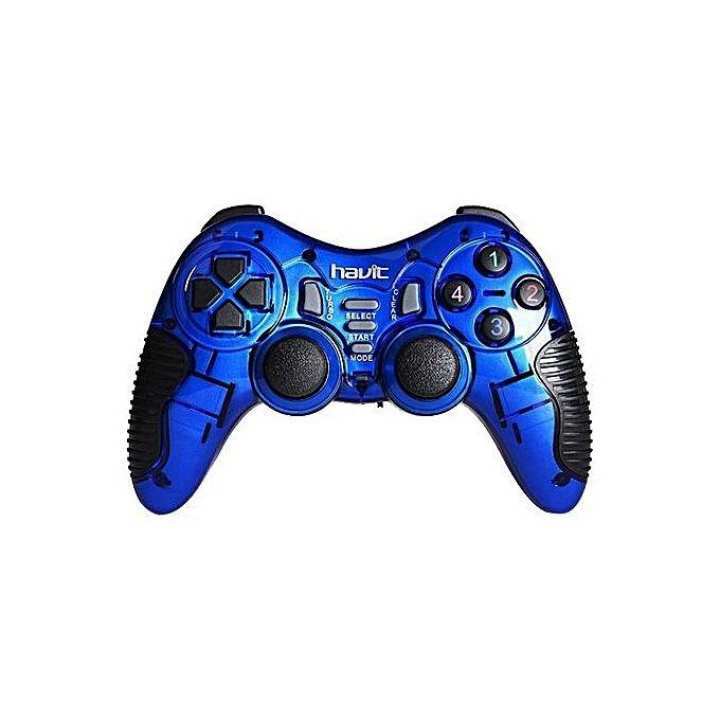 Gamepad Havit HV-G89W is a gaming console with a set of buttons, which is held and operated simultaneously with both hands. The manipulator is equipped with vibration motor 2nd generation with "Dual vibration feedback," which provides a sense of realism in games. Shaking the player feels when driving on rough terrain, the knock of gunfire and explosions, shocks due to impact, etc. Wireless gamepad provides greater comfort and freedom of action in games compared with wired counterparts.